The festive season has well and truly kicked off with Sula’s “Globe in a Glass”. Trust them to pull off their first ever Wine & Spirits Roadshow with such aplomb. Even the sultry Delhi weather could not put a dampener on the enjoyment and one could hear the guests rave about how well organised and how much fun the event was. 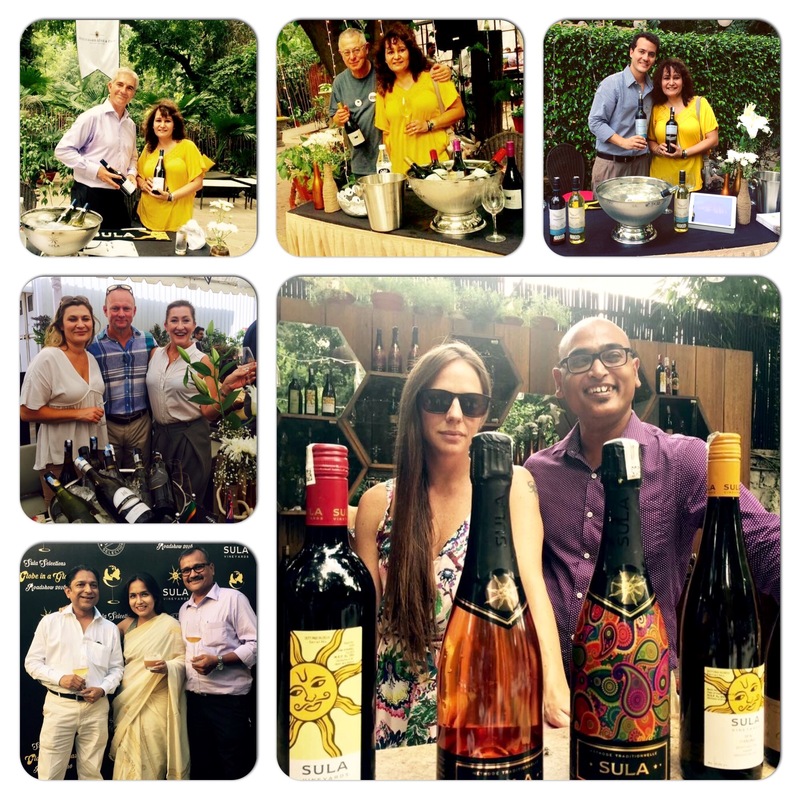 I am talking about the Delhi leg of Sula’s day-long wine and spirits event which took place on 3rd October 2016 at Lodi, The Garden Restaurant. From Delhi the three city roadshow travelled to Bangalore on October 5. It will conclude today in Mumbai. While Sula Vineyards is India’s largest wine producer with a projected sales figure of 12 million bottles in the year 2016 and commands a lion’s share of nearly 60% of the domestic market, it is also one of the leading importers of wine and spirits in the country, through its import arm Sula Selections. It is the most visible wine brand in India and to gauge how well recognized it is let’s just say that Sula is to wine what Colgate is to toothpaste in terms of brand recall. 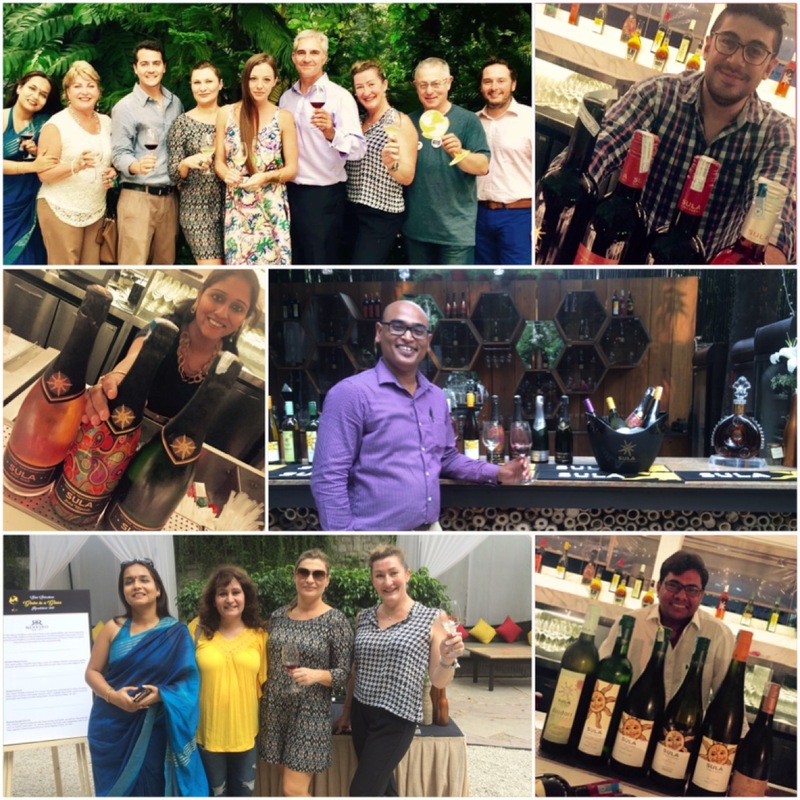 This event was a showcase of Sula’s domestic and international portfolio where the invitees got to taste 40 wines and 20 spirits from all across the globe. 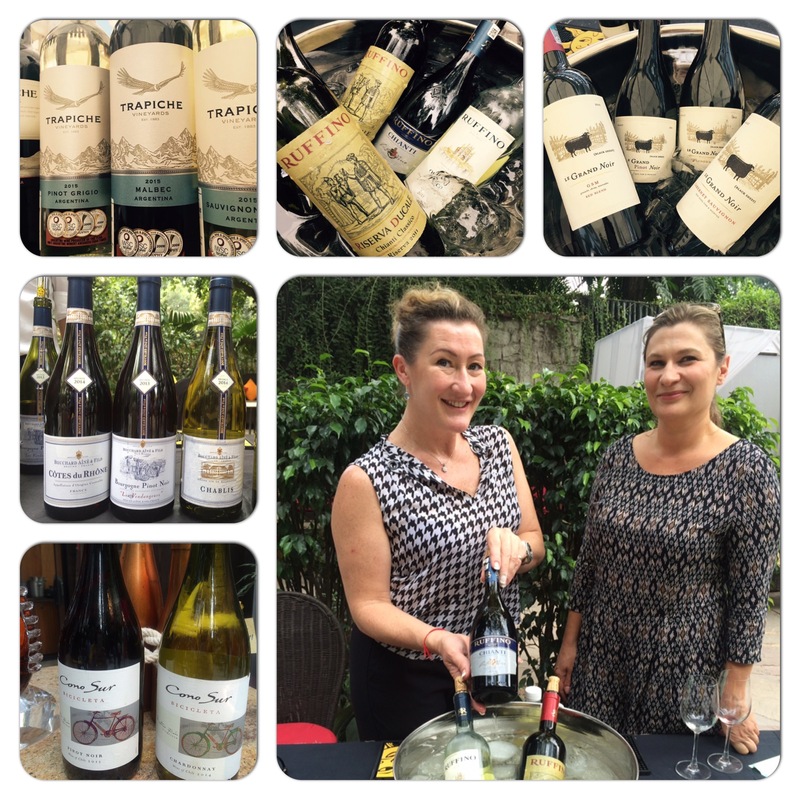 It was a great way to reach out to consumers and help them connect with the suppliers, brand managers and wine makers. Prestigious international wine brands like Cono Sur from Chile, Trapiche from Argentina, Accolade Wine company’s popular brands Hardys of Australia, Mud House from New Zealand , Kumala from South Africa and Ruffino from Italy, Piper Heidsieck Champagne, Bouchard Aine & Fils, and Le Grand Noir from France were represented by their spokespersons. The event offered a splendid opportunity to engage with them and learn more about these products. Wines from across the world imported by Sula Selections. In the picture Emma Hammonds and Ann-Marie Battista Sharp from Accolade Wines. There was an entire spectrum of spirits from rum, tequila, cognac, whiskey to liqueurs. Prominent brands represented were Remy Martin Cognac, Antica Sambuca, Cointreau, Mount Gay Rum from Barbados, Don Alejandro Tequila, William Grant & Sons (Glenfiddich, Grant’s, Hendrick’s Gin, Monkey Shoulder-only Mumbai). Janus and J Brandy were only for Bangalore. An interesting addition to Sula Selection’s spirits portfolio is Brazil’s famous Cachaça brand Pitú represented by third generation family owner Maria das Vitórias Cavalcanti. Cachaça (kah-sha-sa) is a popular Brazilian spirit distilled from sugar cane juice which can be had on its own or used to make a variety of cocktails like Caipirinha (ky-per-een-yah). Maria very sweetly took on the role of bartender and was seen making some refreshing Pitú based cocktails. 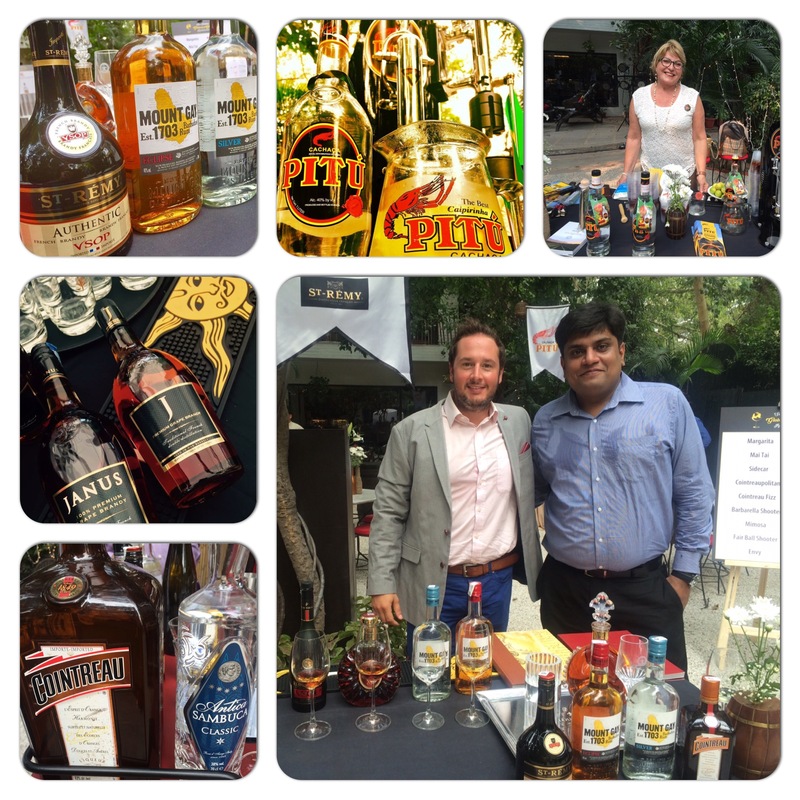 In fact there were some interesting rum, vodka and tequila based cocktails on offer at the Sula Roadshow 2016. Spirits portfolio of Sula Selections. In the picture Maria das Vitorias Cavalcanti from Pitu Brazil and Nick Rees Marketing Manager Remy Cointreau with Pankaj Tripathi of Sula Selections. Cecilia Oldne, Vice President Marketing & Global Brand Ambassador at Sula Vineyards called “Globe in a Glass” a “global experience put together by Sula for our valued customers”. She said that they plan to make the event into an annual affair as it was “a fun way to bring together sommeliers, ambassadors, oenophiles and people who want to learn more about these products”. And there is no denying that Sula does value its customers. What a great way to bring people together over wine. I just hope that the next edition of the Wine & Spirits Roadshow is a ticketed event open to public where wine lovers get a chance to taste the different wines on offer. More and more events like this will go a long way towards developing a wine culture in India. ‹ Delhi gets a taste of Michelin starred Dabbous of London at The Lalit New Delhi.